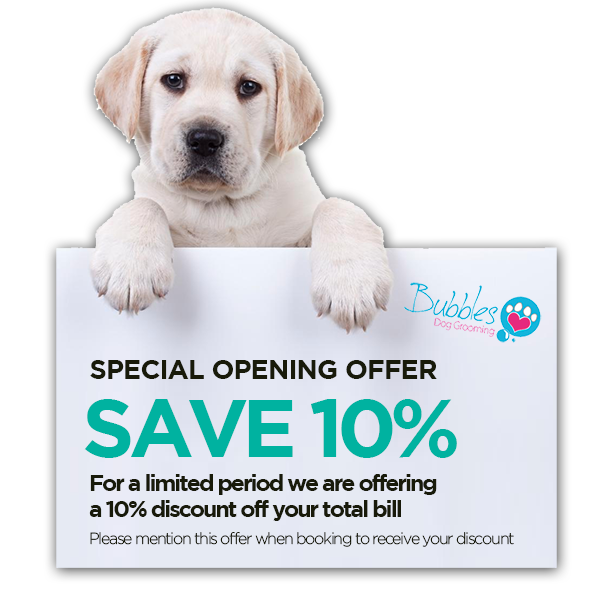 We know you and your dog are going to love what we do here at Bubbles Dog Grooming. For a limited time only we are offering this great opening offer. Please be sure to mention this offer when making your booking for the discount to be applied.